Are you at increased risk of abnormal blood clots? 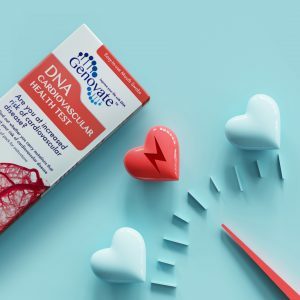 The DNA Thrombotic Risk Test can tell you just that. 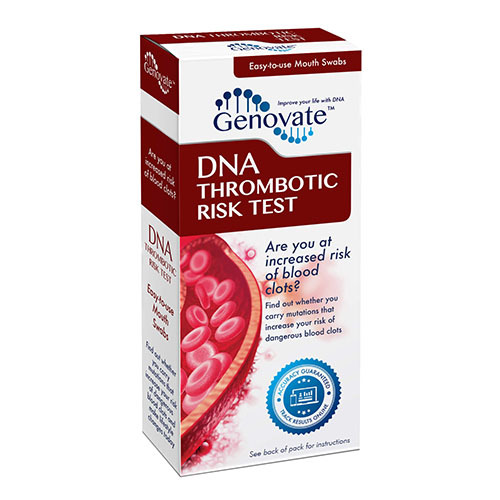 • Are you at increased risk of life-threatening blood clots? Thrombosis is the formation of a blood clot inside a blood vessel, preventing the flow of blood through the circulatory system. 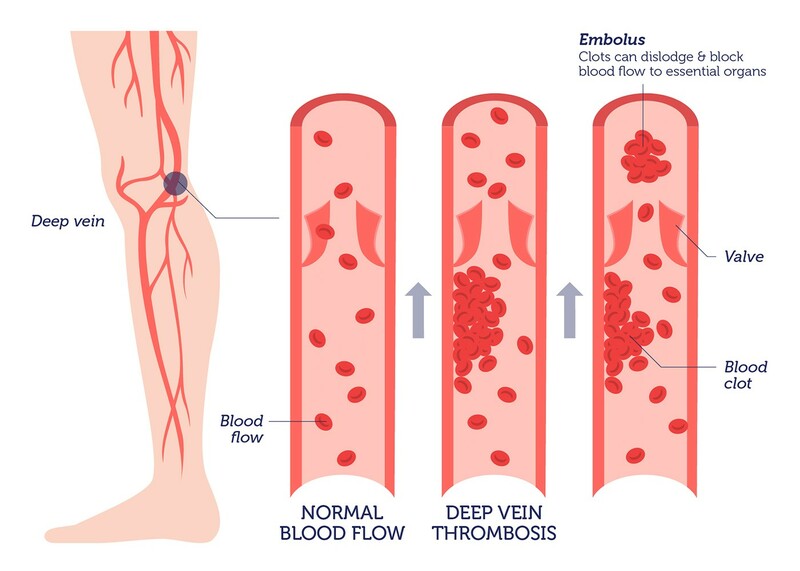 Deep vein thrombosis (DVT) is the most common form of venous thrombosis (blood clot). DVT refers to a clot in a deep vein and it often happens in the leg. Symptoms in the affected area include pain, swelling, redness and warmth. 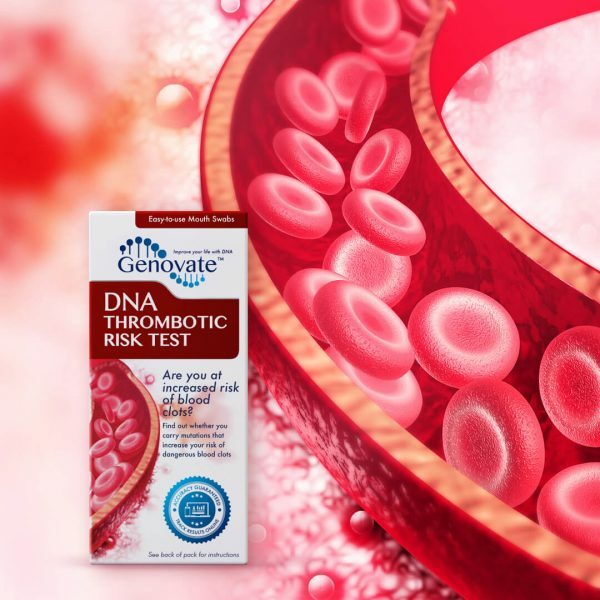 If you suspect a DVT you should contact a doctor as soon as possible, because sometimes the clot may break loose and travel to other parts of the body. If the clot travels to the lungs, it can block essential blood vessels. This life-threatening complication is known as a pulmonary embolism (PE). Symptoms include a sudden shortness of breath, chest pain, coughing up blood-streaked mucus and a rapid heartbeat. If the clot travels to the brain, it is also extremely dangerous and can potentially cause a cerebral venous thrombosis. Symptoms include impaired speech, difficulty moving parts of the body, vision problems and severe headaches. Every year, more people die from a blood-clotting problem than breast cancer and HIV combined. 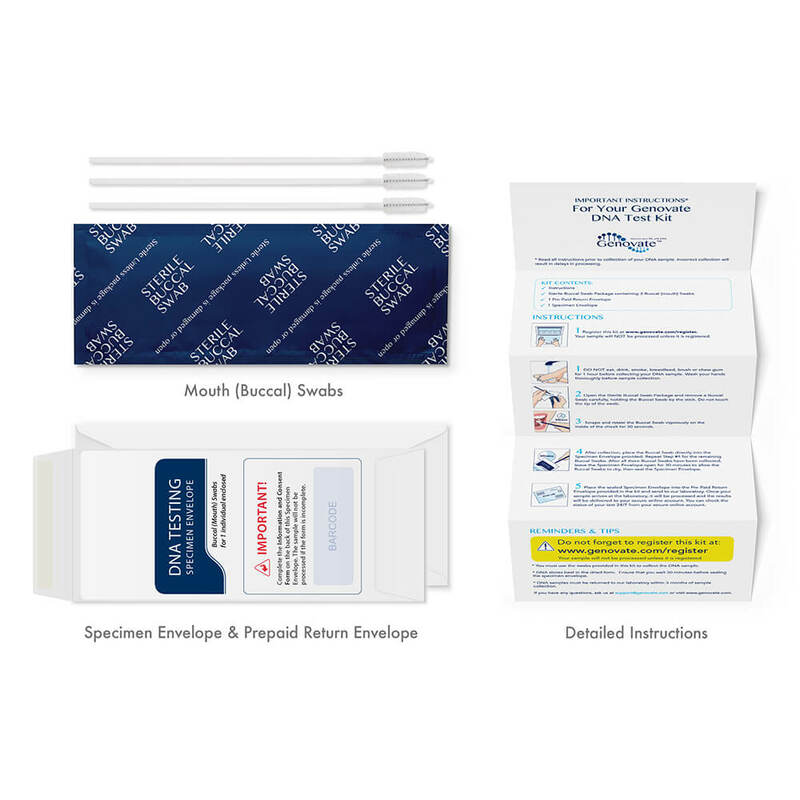 All that is needed is a simple mouth swab to uncover your risk with this DNA test. We inherit two copies of each gene – one from each parent. 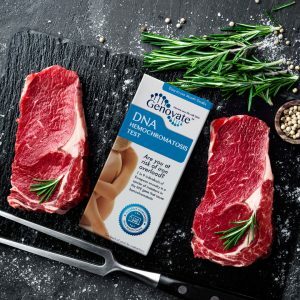 Therefore we can inherit two normal copies of a gene (homozygous normal), two copies that carry a genetic mutation (homozygous mutant), or one normal copy and one mutated copy (heterozygous). This means that we can inherit several different combinations of the F5, F2 and MTHFR genes. Each combination is associated with a different risk of thrombophilia. Gatt A & Makris M (2007). Hyperhomocysteinemia and venous thrombosis. Semin Hematol. 44(2): 70-6. White RH (2003). 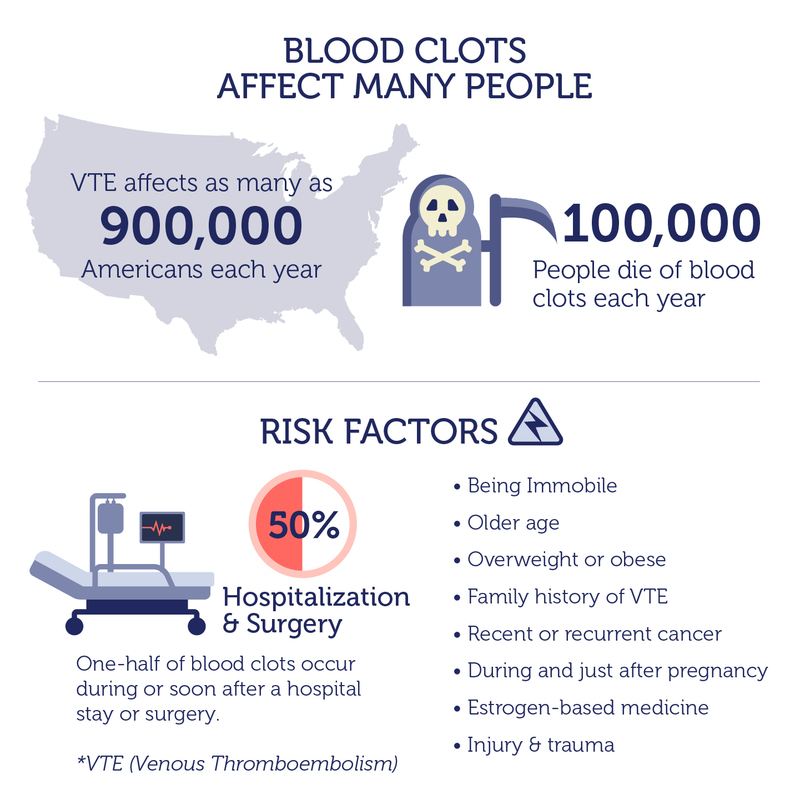 The epidemiology of venous thromboembolism. Circulation. 107(23 Suppl 1): I4-I8. McGlennen RC & Key NS (2002). Clinical and laboratory management of the prothrombin G20210A mutation. Arch Pathol Lab Med. 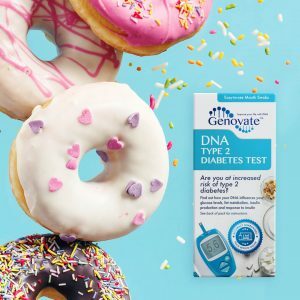 126(11): 1319-25. Press RD et al. (2002). Clinical utility of factor V leiden (R506Q) testing for the diagnosis and management of thromboembolic disorders. Arch Pathol Lab Med. 126(11): 1304-18. Angelini A et al. (2003). 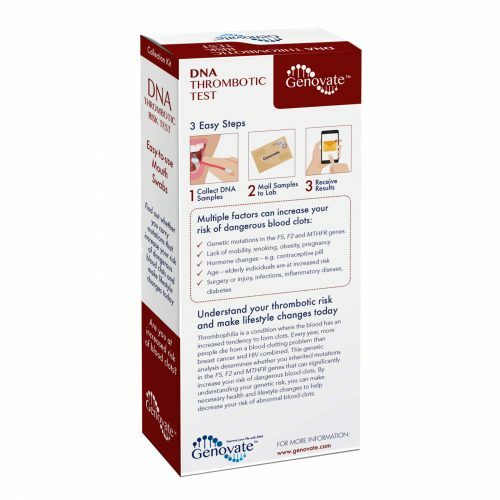 Identification of Three Genetic Risk Factors for Venous Thrombosis Using a Multiplex Allele-Specific PCR Assay: Comparison of Conventional and New Alternative Methods for the Preparation of DNA from Clinical Samples. J Thromb Thrombolys. 16(3): 189-193.